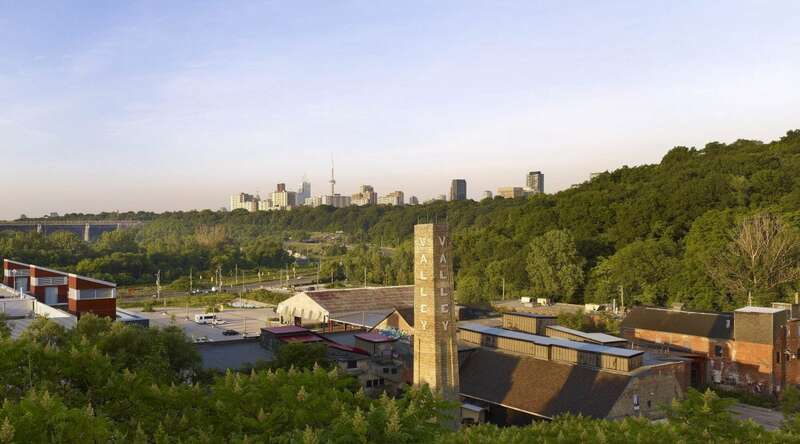 Mural Routes invites you to join us for the 18th National Mural Symposium at the Evergreen Brick Works, Toronto! More details and registration below! 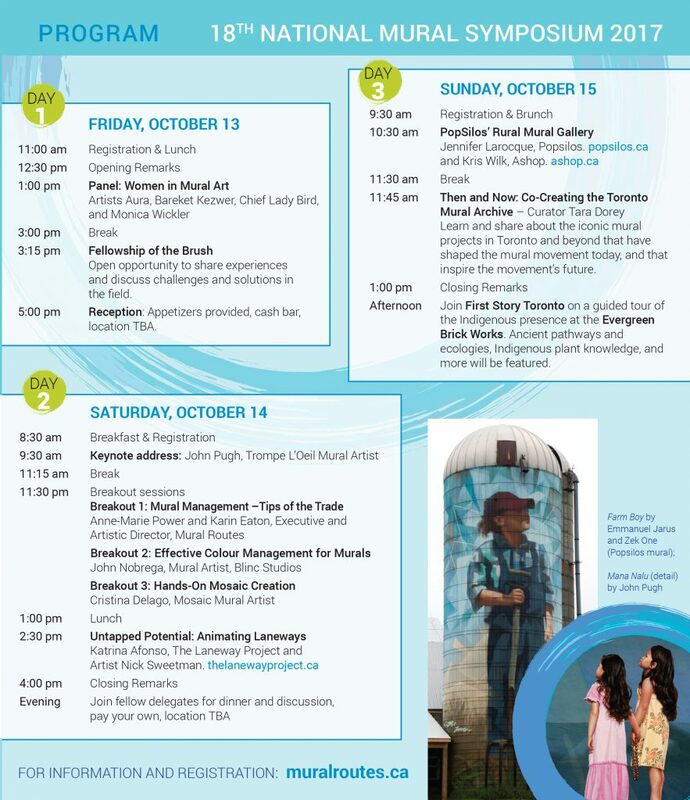 Check out the full schedule in our Symposium Brochure. Questions? Contact Kyla at 416 698 7995 or kyla@muralroutes.ca. The 18th National Mural Symposium provides a space for mural artists, administrators, and enthusiasts to connect, learn, and share experiences. 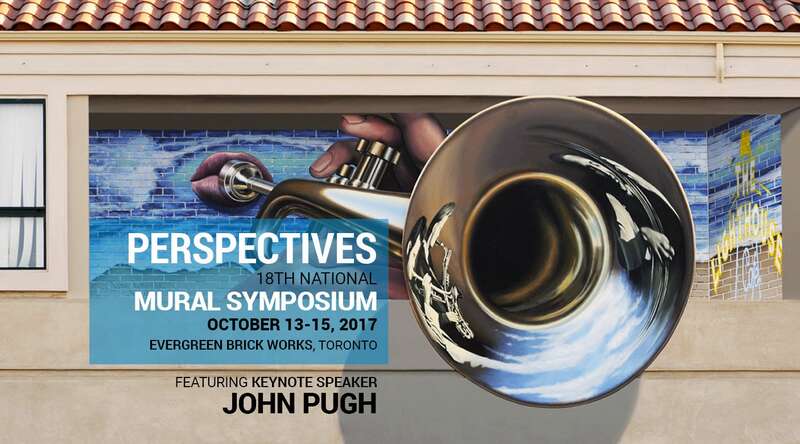 Over the course of the weekend we will explore best practices, build relationships, and consider a multitude of perspectives; from the optical illusions of John Pugh’s murals, to the diverse viewpoints within the mural community. We invite you to join us, learn from your peers, and walk away with a new perspective on mural art. John Pugh is a noted trompe l’oeil artist whose work focuses primarily on public art. With over thirty years of experience and more than 250 murals completed around the world, Pugh is considered the leading authority on what has been termed “Narrative Illusionism.” His work has been featured in worldwide media from the New York Times to BBC World News and is the subject of the 2005 book The Murals of John Pugh; Beyond Trompe L’oeil. Catering at the Brick Works is provided by Brad Long’s Belong Catering. Belong is dedicated to fresh food prepared from organic, locally-sourced ingredients. The Best Western Roehampton Hotel & Suites (808 Mt Pleasant Rd ) is offering a special rate for Symposium guests. Call 416-487-5101 and mention Mural Routes to receive this rate. Prices include symposium sessions and workshops, lunch on Friday, breakfast and lunch on Saturday, and brunch on Sunday. *Registrations will not be accepted after Oct 9, 2017.